Went to a terrific style night recently with style guru and fantastic speaker and presenter Trish Murray, and got the low-down on what’s in for autumn and winter fashion, and, some great tips and tricks on how to ramp up a simple pair of jeans and top and look like you’ve just stepped off the catwalk! But more about that later … what really caught our eye was the Blue Illusion Three-Way Trench Coat. 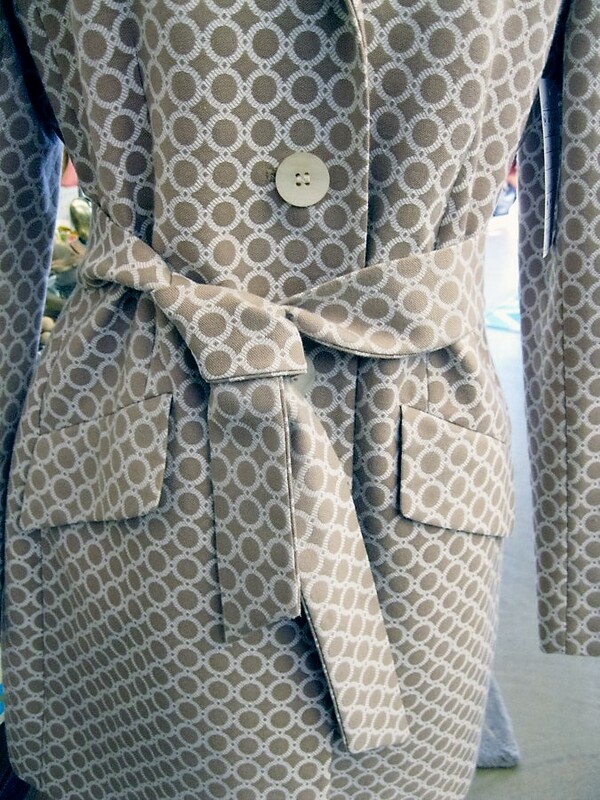 The trench is going to be ‘big’ this winter, and this trench beats them all. A short style trench in classic navy with tan contrast in the lining, lapels and inner collar, the coat is fashionably double-breasted and comes with a nice buckle belt—how to fasten the belt however, is the monumental question, though the general consensus in the fashion world is that you tie the belt. 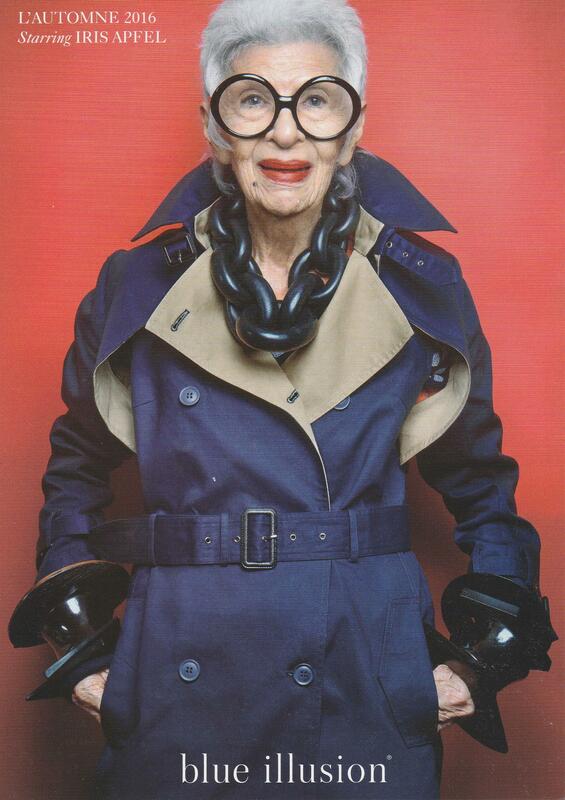 However, if you’re Iris Apfel (who’s 94 years young and the face of Blue Illusion—and isn’t that just fantastic!) you can basically do just what you feel like … and rightly so. But back to the trench. The trench works three ways. First, it’s a very stylish winter coat in 100 per cent pure cotton and looks totally fabulous, but … remove the trench feature and sleeves and you have a sleeveless vest trench. 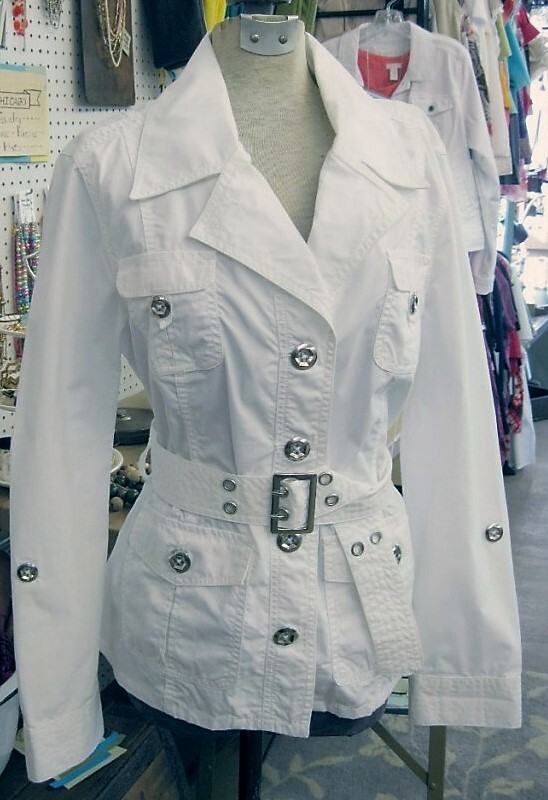 Then, wear the trench feature and sleeves by itself (it’s one piece) and it’s a bolero or cropped jacket that fastens at the neck. How cool is that! The three-way trench sells for $299 and is available from Blue Illusion online, or from outlets at Westfield Belconnen and Woden, The Canberra Centre, and the Manuka Centre. And now—how to ‘do’ the belt. You can tie at the front, or back, or do a grand Iris—whatever the heck you feel like! This entry was posted in LFW Style and tagged Blue Illusion, Iris Apfell, Manuka Centre, The Canberra Centre, Three-way Trench Coat, Trish Murray, Westfield Belconnen, Westfield Woden on March 17, 2016 by gracienumber1.